This is the campaign log for the fourth session of a google+run Wandering Heroes of Ogre Gate campaign. The previous session is described HERE. After Reckless Storm asserted control of the Demon Moon Cult he announced Bone Breaker as his number two and randomly picked a person from the crowd for his third chief. He then commanded the cult to find and bring him the Face of Vaagu (an impossible task given that the face is a mountain side). The party just shrugged, said they would do so and left for Zun with their prisoners, Jade Priestess and Lord Moon. Bone Breaker decided he wanted to change the terms of his agreement with Bronze Master, so suggested they take Jade Butterfly to Zun City with them, while he transported the prisoners to Golden Dragon Temple. That way, Jade Butterly could confirm they were being taken there in a timely fashion. 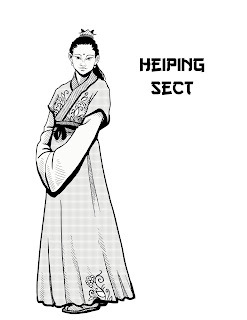 Before leaving San agreed to become Jade Butterfly's student (an agreement Bone Breaker had arranged earlier). 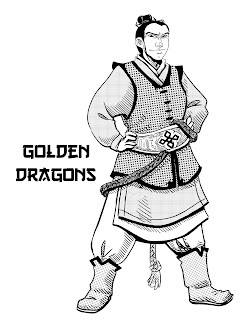 At Zun City, they found a Golden Dragon outpost at a local mutton noodle shop and secured the antidotes for themselves there with the help of Jade Butterfly's word. They then headed north to Golden Dragon Temple. Bone Breaker had secretly swapped Jade Priestess for another person, having formed a private arrangement with her when she bargained for life saying she knew of a treasure below Ogre Gate. He had her disguise herself as the leader of a group of thugs he recruited and they decided he would continue as her student. 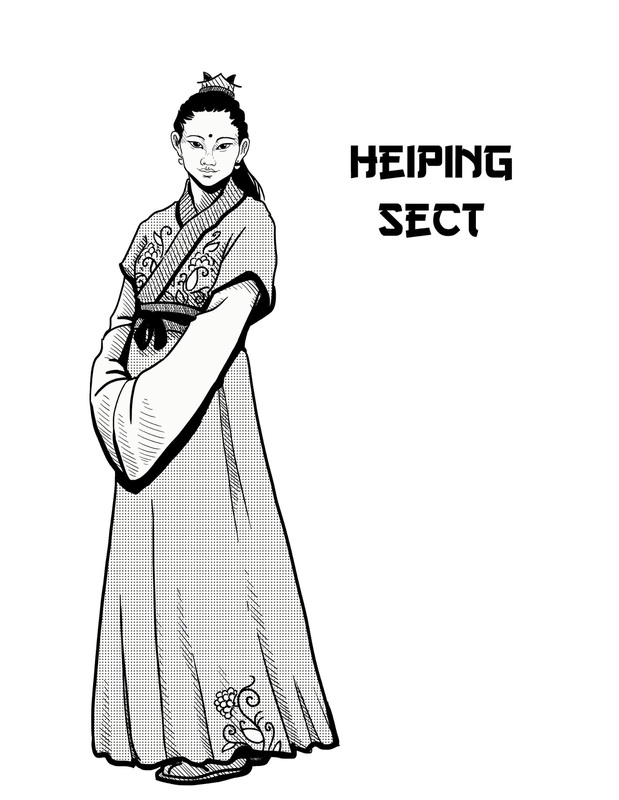 Because of their arrangement with Heiping Sect, the no longer had to pay to make it through the pass between Mount Hai'an and Heiping Mountain. 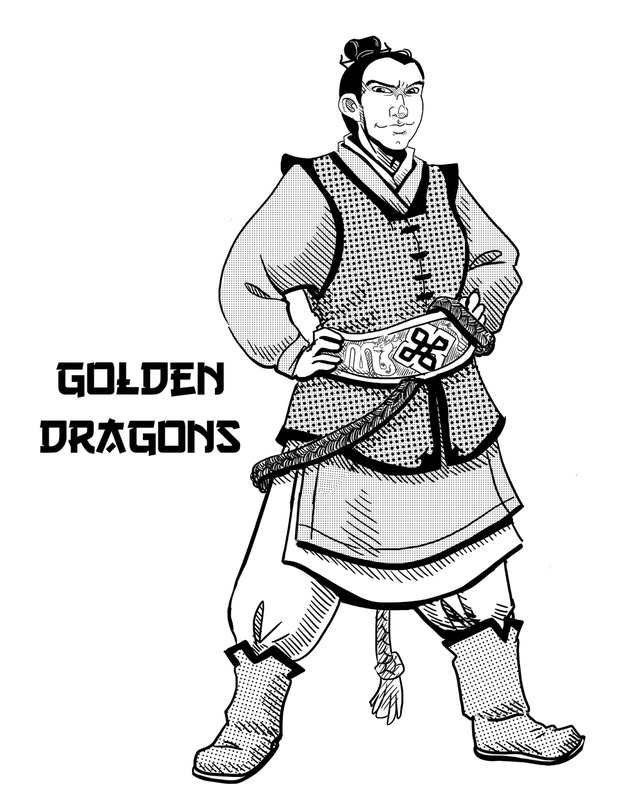 Bone Breaker reached Golden Dragon Temple and ruined things with Bronze Master giving him one head and demanding greater pay. Infuriated eventually agreed to a slightly higher payment, taking him to the temple courtyard and announcing him an enemy of the sect before all the students as he handed him the taels. He stated this extended to Bone Breaker's companions, San, Chen and Mofeng. The party regrouped and Bone Breaker convinced them to head north to Ogre Gate Inn. At this point the party included Jade Butterfly, Jade Priestess (disguised as a bandit leader), Iron Cub and some thugs Bone Breaker hired. They made their way through the mountains, stopping at a village near its base to buy camels for the trek across the desert. The man who sold them the camels agreed to go as their guide, and they rented all his beasts of burden, to prevent the Golden Dragons from easily following them. They made their way safely across the desert but San noticed that the bandit leader was actually Jade Priestess in disguise. She mentioned this to Bone Breaker but kept the information to herself. They reached Ogre Gate Inn and became suspicious when the food tasted bad. They asked for replacement meals but the proprietor was rude and seemed odd for an innkeeper. Bone Breaker went out back with his men and Jade Priestess and found a group of Inn staff near the kitchen. He noticed they looked like criminals, with scars and brandings marking them as thieves. He lured one of them away where his men set an ambush. He then broke the man's legs and demanded he talk. Eventually Bone Breaker learned that the staff were just bandits who had taken over the inn after killing the former proprietor. They came to find "the emerald empire" a treasury they believed was below the inn. Bone Breaker met with the bandit leader and they reached an agreement, where the party would help them navigate some of the traps that were giving them trouble below the inn for a fair share of the haul.